As you know we try to share the best and most original artists with you here on the bloompapers blog. So, what about Scott Gundersen and his cork portraits? We certainly haven’t seen anything like it! 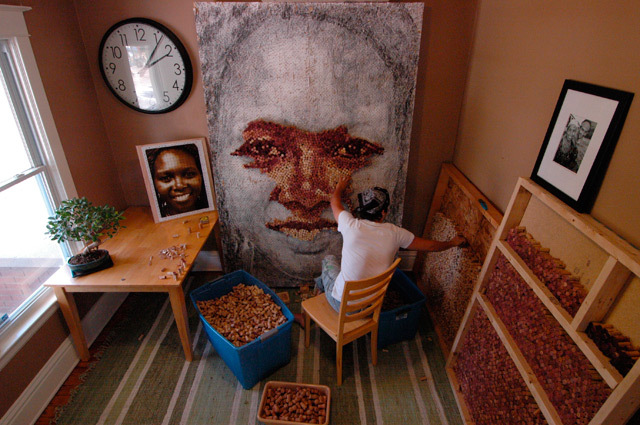 For his most recent project, he created the portrait ‘Trisha’, using no less than 3621 wine bottle corks and the result is just breathtaking – we think he is super talented and would love you all to have a look. There’s also a great video on his facebook page about this recent work. Enjoy and be inspired!